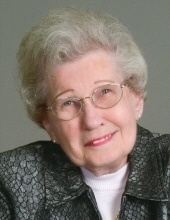 Shirley Ann Soper, 85, of Forest Hill, Meadville, passed away Monday, February 11, 2019 at Meadville Medical Center. Shirley was born in Altoona on December 16, 1933, a daughter of the late Howard A. and Viola (Freyermuth) Wright. On November 3, 1956 Shirley married Roger K. Soper; he preceded her in death on August 21, 1993. She was an active member of St. Mark's United Church of Christ, where she was Church Treasurer for several years and held other various positions in the church and the Women's Guild. In 1989 Shirley retired as Engineering Department Secretary of Clevite Corp, Cleveland, OH, where she had been employed since 1957. She previously had served as a Secretary in the Engineering Department with the former Talon, Inc. of Meadville, following her 1952 graduation from Meadville High School. She served in this position until she married her husband, Roger, at which time they moved to the Cleveland, OH area. Following her retirement, Shirley and her husband relocated back to Meadville. Shirley enjoyed being a member of the Eat and Travel Club where she served as a committee member for several years. Her hobbies included gardening, reading and participating in the Ladybirds Bowling League of Cochranton as well as the Condo Chicks of Forest Hill. Shirley is survived by a brother Jack O. Wright and his wife Patty of Linesville, two nieces Rhonda Hershelman of Linesville, Jacklyn Williams and her husband Lon of Meadville, a nephew Todd Wright and his wife Kelli of Linesville, one great niece, three great nephews and many friends including special friends Janice Kelly and Donna Wermlinger. She was preceded in death by her parents and her husband Roger of 36 years. Family and friends are invited to call on Saturday, February 16, 2019, from 1-3 PM at STEPHEN P. MIZNER FUNERAL HOME & CREMATION SERVICES, INC., 404 CHESTNUT ST., MEADVILLE, where Funeral Services will follow at 3 PM with Rev. Russell Hines, Pastor of St. Mark's United Church of Christ, officiating. Interment will take place in Greendale Cemetery, West Mead Twp. In lieu of flowers, memorial contributions may be made to St. Mark's United Church of Christ, 6650 Franklin Pike, Cochranton, PA 16314. To send flowers or a remembrance gift to the family of Shirley Ann Soper, please visit our Tribute Store. "Email Address" would like to share the life celebration of Shirley Ann Soper. Click on the "link" to go to share a favorite memory or leave a condolence message for the family.